Benchmade 530 is a 3.25” blade with the overall length of 7.42”. The knife itself is designed by a Benchmade’s popular designer, Mel Pardue. It has a reinforced plastic handles, partial liners, and the use of 154 cm steel. In many cases, Benchmade 530 is a very elegant and stylish blade along with some rough grip. The Benchmade 530 is also very light and very thin that you can use it easily when you are in the emergency defensive role. The knife is also sturdy enough to be regularly used, but if you buy for your collection, it is also very acceptable as well. On the opposite, Benchmade 531 is a new version of Benchmade which has the same and similar design to the previous 530. The company fixed the issues of 530 with some compensation in price which is why 531 is more expensive than the 530. The 531 itself is a blade with a high flat grind, light stonewashed, and a beautiful sledge towards the tip. 530 is a little bit similar to the dagger with the false edge on its top, while 531 is more into a tool, 531 has a good thickness with such high flat grind. Benchmade 531 brings joy when you slice something as it has a spear point shape and swedge at the tip which makes it has a more piercing ability. On the other hand, 530 is a not as good as 531 because it has a lighter material which makes it a little weaker compared to 531. You can’t pierce as hard as 531, and you can’t slice things like what 531 do. So in overall the 530 is rather weak if being compared to 531, the design and features are also lacking as 530 looks more into a prototype for Benchmade 531. Benchmade 531 proved to be better than 530 which is why the company produce the 531. 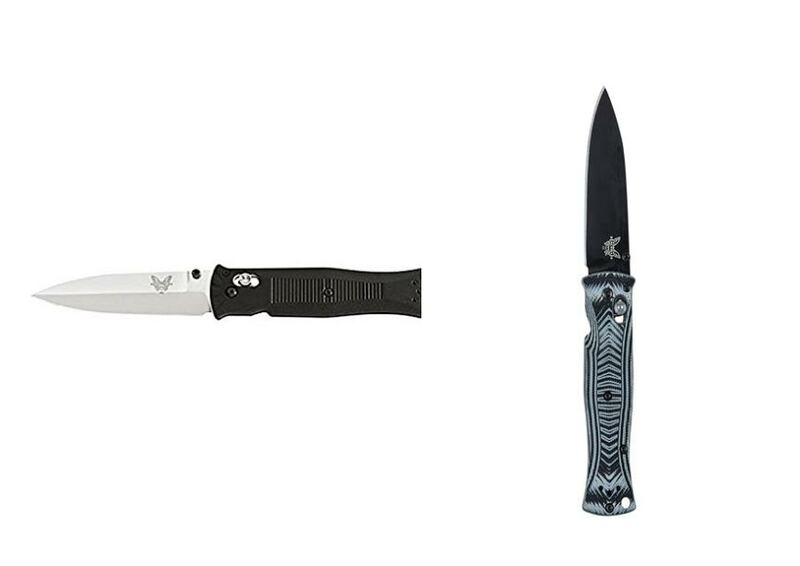 Benchmade 531 is a well-made cutting tool, and it is also a useful self-defense tool. The only compensation that you have to pay is about its price where 531 is more expensive than 530, but it is worth the price.